The yearlong preliminary activities of School Level Competitions have come to an end. 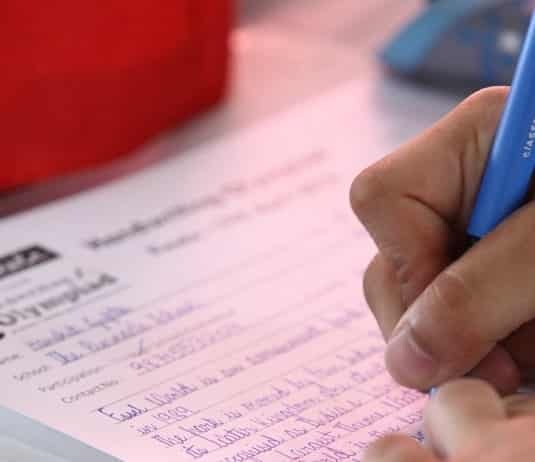 Over 150,000 students participated in the 8 th Season of Handwriting Olympiad. 150 Participants selected as State Champions and Runner-up as direct entries to the Grand Finale while another 1500 participants qualified for participating in the Pre-Finale. Pre-Finale on 21 st Apr 2018 & Grand Finale on 22 nd April 2018. We welcome all selected candidates and wish them great success for the competition. May the best ‘Handwriting’ become the Champion.